Antibiotic-resistant bacteria has been a growing concern in the United States, leading to thousands of deaths each year. Doctors prescribing antibiotics unnecessarily is a big contributor to the problem, and now a new analysis of government data quantifies just how big that problem is. The study, published Tuesday in JAMA, found that an estimated 30 percent of outpatient oral antibiotic prescriptions in the U.S. from 2010 to 2011 may have been unwarranted. According to the Centers for Disease Control and Prevention, antibiotic-resistant infections affect 2 million people and lead to about 23,000 deaths annually. Antibiotic use is the main driver of resistance, which can lead to harmful consequences ranging from allergic reactions to "superbug" infections like Clostridium difficile, a nasty intestinal bug. 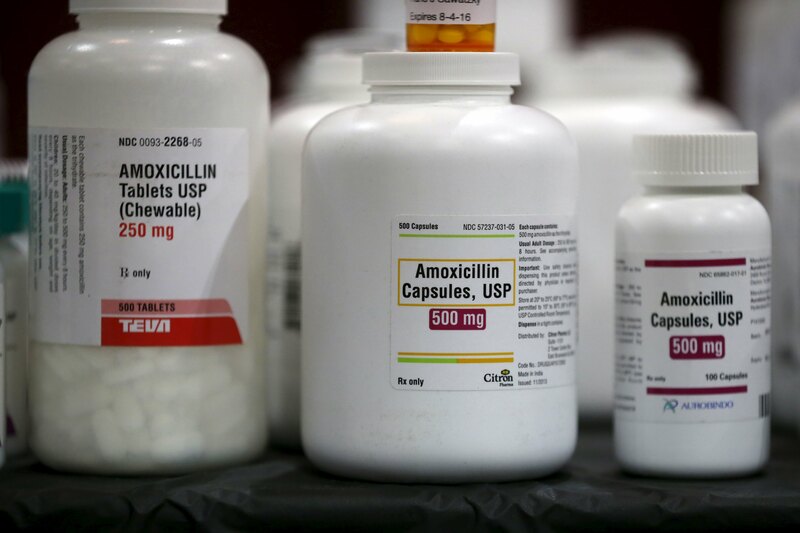 "Antibiotic resistance is one of the most urgent public health threats of our time," Dr. Katherine E. Fleming-Dutra, of the CDC, told CBS News. "Antibiotics are life-saving medicines that treat bacterial infections, but antibiotic resistance has emerged and the use of antibiotics is the single most important factor leading to resistance." The issue has garnered so much attention that in 2015, the Obama administration put forth the White House National Action Plan for Combating Antibiotic-Resistant Bacteria, with the goal of cutting inappropriate antibiotic use in outpatient settings by half by 2020. For the study, Fleming-Dutra and her team analyzed two CDC national surveys that looked at outpatient visits at hospital clinics and emergency departments to estimate the rates of oral antibiotic prescribing by age and diagnosis, as well as the proportion that may have been inappropriately prescribed. The sample consisted of more than 184,000 visits, 12.6 percent of which resulted in antibiotic prescriptions. For the purposes of their study, the researchers defined inappropriate antibiotic use as an instance in which an antibiotic was prescribed for an illness that cannot be treated by one, such as the common cold. Fleming-Dutra said that other circumstances could be deemed inappropriate, such as when the wrong antibiotic is prescribed, but those were not included in the study. In order to determine whether the antibiotics prescribed were necessary, the researchers looked at national guidelines of appropriate levels antibiotic prescribing by age group. When national guidelines weren't available for a particular diagnosis, the regions with the lowest antibiotic prescription rates in the country served as the basis for appropriate prescribing. The results showed that about half of the antibiotics prescribed for acute respiratory infections, including the common cold, bronchitis, and viral sore throat, may have been unnecessary. The researchers estimate that across all conditions, about 30 percent of antibiotic prescriptions were inappropriate from 2010 to 2011. "This equates to about 47 million unnecessary antibiotic prescriptions written every year in the United States," Fleming-Dutra said. The authors note that in order to meet the White House's goal, a 15 percent reduction in overall antibiotic use is needed over the next five years. The reasons for so many unnecessary prescriptions vary, but involve both doctors' actions and patients' expectations, experts say. "What comes up a lot in studies is that clinicians generally know when an antibiotic is needed and when it's not, at least for these common conditions, but often they will report that they're concerned about patient demand and patient satisfaction," Fleming-Dutra said. "They want the patients to be satisfied so they'll often prescribe even when they know they shouldn't." Dr. Pranita Tamma, an assistant professor of pediatrics and epidemiology at Johns Hopkins University School of Medicine, called the study a "wake-up call" for physicians who prescribe antibiotics in an outpatient setting. She also noted that the study most likely underestimated the number of inappropriate antibiotic prescriptions in the U.S.
"There are a lot of locations where antibiotics are prescribed that were not included in the study," she told CBS News. "Places like urgent care centers, retail clinics, telephone encounters, and dental offices." Prescriptions written by physician assistants and nurse practitioners were also not included. "These health professionals are seeing an increasing number of patients, so we're not really entirely clear what's happening with antibiotic prescriptions when a patient is seen by a PA or an NP," Tamma said. Additionally, the researchers assumed that all diagnoses of pneumonia or urinary tract infection warranted antibiotics. However, Tamma pointed out that not all pneumonia cases are bacterial and some urinary tract infections are asymptomatic bacteriuria, which means they may not require treatment. "Though I think the approach the study authors took is very good -- certainly this is probably the best we can do at the present time to get a sense of outpatient antibiotic prescriptions -- I think overall, it's an underestimation," Tamma said. The strategy to improve outpatient antibiotic prescribing is twofold, experts say. First, doctors need to be more cautious about prescribing antibiotics unnecessarily. "For clinicians, it's always important that they're prescribing antibiotics only when needed and if they are needed, using them correctly," Fleming-Dutra said. "And using communication techniques to really explain to patients when an antibiotic is needed, when it's not, how patients can feel better, when they should expect to get better, and when they should come back when they're not getting better or are getting worse. That can be a really helpful technique." Patients can play a role in stopping antibiotic misuse, too. "Patients can express their concerns about antibiotic overuse to their clinicians," Fleming-Dutra said, "and should always ask 'How can I feel better?' instead of asking for medicine to initiate that conversation."